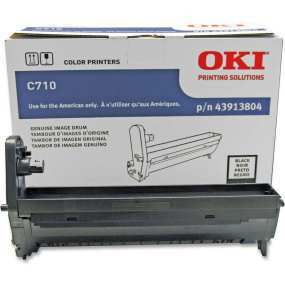 Create your own Okidata Oki C710 color toner pack / bundle with our flexible quantity discount pricing. Mix and match products so you are only purchasing what you need, but also maximizing your savings. Remanufactured Cyan Toner Cartridge with 11,500 page yield. Equivalent to Okidata part number: 43866103. Fits the following model(s): Okidata C710, Okidata C710n, Okidata C710dn, Okidata C710dtn. Remanufactured Magenta Toner Cartridge with 11,500 page yield. Equivalent to Okidata part number: 43866102. Fits the following model(s): Okidata C710, Okidata C710n, Okidata C710dn, Okidata C710dtn. Remanufactured Yellow Toner Cartridge with 11,500 page yield. Equivalent to Okidata part number: 43866101. Fits the following model(s): Okidata C710, Okidata C710n, Okidata C710dn, Okidata C710dtn. Remanufactured Black Toner Cartridge with 11,000 page yield. Equivalent to Okidata part number: 43866104. Fits the following model(s): Okidata C710, Okidata C710n, Okidata C710dn, Okidata C710dtn. Buy our high quality compatible toner for Okidata Oki C710 with confidence. Join thousands of happy customers who have found our compatible products are equivalent in page yield and print quality. For our compatible products, we offer a 100% Satisfaction Guarantee allowing you to return products within 6 months if you are unsatisfied. 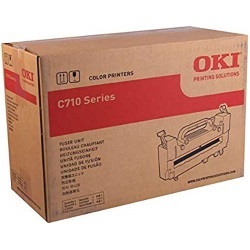 The Okidata C710 series includes the C710n model with networking connectivity, the C710dn model which further expands to include duplexing, and the C710dtn that has both of these features and an additional paper tray. The base model is the most basic of the bunch, but it has quick speeds of up to 32 pages per minute for monochrome projects and 30 pages per minute for color. For a fair price tag, this color laser printer has the robust design and feature set to handle busy small offices. The unit's media capabilities are versatile, incorporating a straight-through paper path that can handle a range of paper sizes. The device's paper handling includes a 530-sheet internal input tray and a 100-sheet multipurpose tray for alternative media and sizes. The total capacity of 630 pages and its maximum monthly duty cycle of 100,000 pages will allow the C710 to support smaller offices with heavy printing volumes. 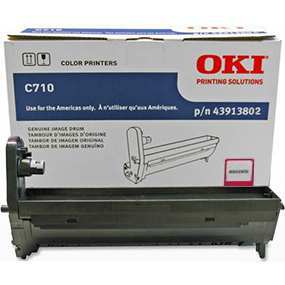 The machine incorporates a range of utilities such as color correction technology to print graphics and photos to control Okidata C710 printer toner colors more precisely, and Print Control Client and Template Manager software for added control over projects. Additional elements like High Definition printing technology help the device consistently print projects with a precise resolution of 1200x600 dpi using color toners, and automatic color balance and photo enhancement can improve photo output. 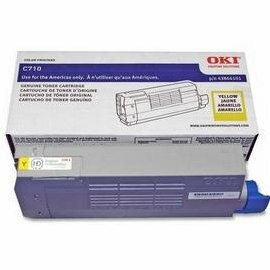 To keep running costs low in fast-paced environments, users can purchase compatible replacement black, cyan, magenta and yellow Oki C710 toner cartridges. Each color supply can be replaced individually and is able to yield up to 11,500 pages. 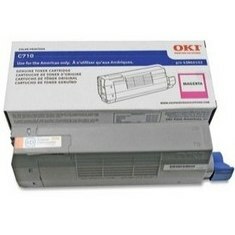 The black Okidata C710 toner cartridge has a maximum capacity of 11,000 pages. There's little to complain about with the C710, considering its quick speeds, long-lasting supplies and ample color management technology for high-quality HD output. 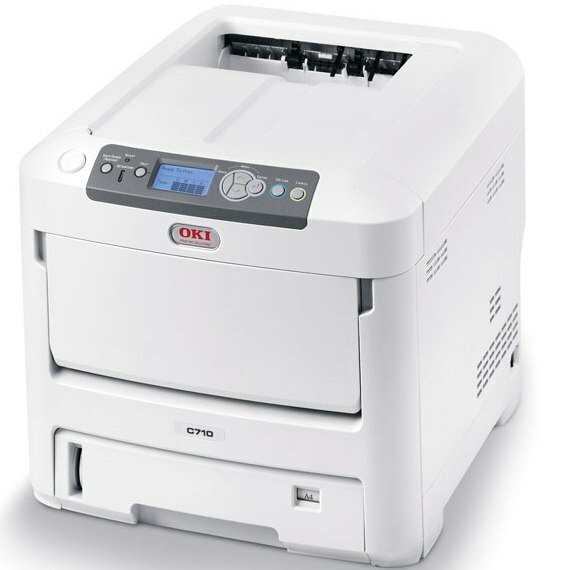 This laser printer can best suit busy small and medium offices that want to keep printing costs affordable.